Graded Items must be created in order to have columns to manually enter grades into your Moodle Gradebook. Graded items can be created in Gradebook Setup. 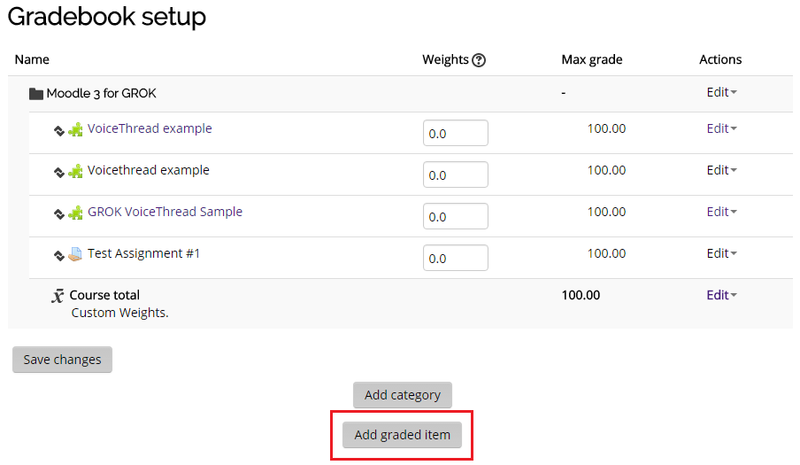 It is not necessary to create categories in a gradebook, but you may wish to create them in order to drop low grade items or weight the total of a group of items. 1. 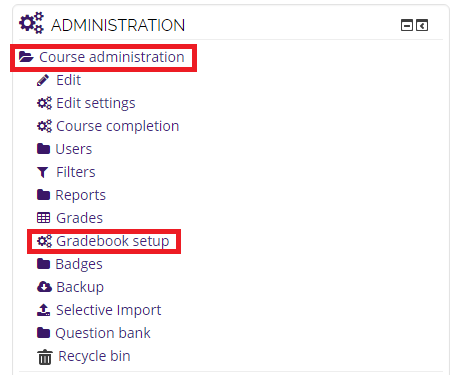 To begin, click on Course Administration - Gradebook Setup under the Administration block. 2. In Gradebook Setup, click on the Add Graded Item button at the bottom of the page. 3. Place a Name for your item. The Maximum Grade value default is 100, so if your grade item will be on a different point scale, you must change this value. If your gradebook is organized into categories, you can place the graded item into the proper category by choosing it in the Grade Category pull-down menu. 4. You will see your new grade item in the Gradebook Setup. If you placed it in a category, it will appear in the section beneath that category's name. If you did not place it in a category, it will appear at the bottom of the table. 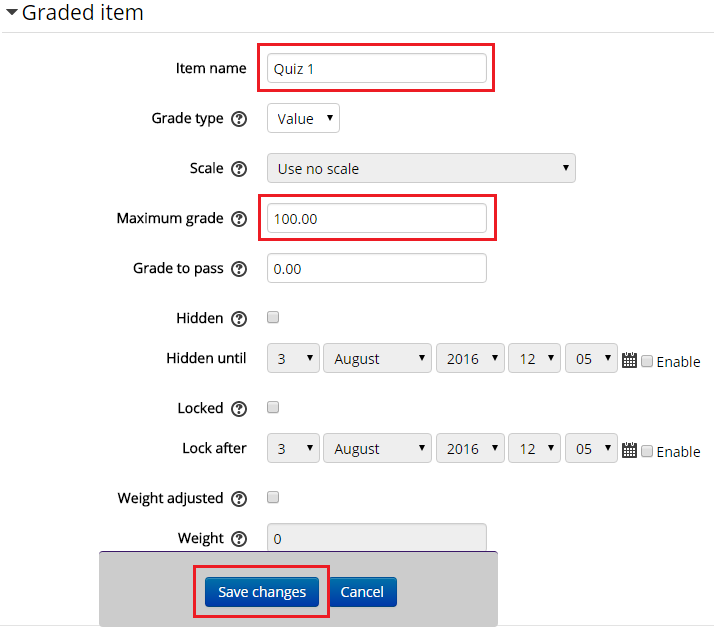 NOTE: If you are using the Custom Weights aggregation method, you can set the weight for the item in the table of the Gradebook Setup. The default weight is 1.